Sandip Ssingh, producer and creative director of Narendra Modi's upcoming biopic PM Narendra Modi, has lent his voice to the music of the Vivek Oberoi-starrer. 'Namo Namo', the rap song from the movie, has been sung by Singh. Sandip shares, "This film is very close to my heart and I wanted to give it a personal touch. What could have been better then singing a rap song for the person we all admire. It's a very interesting song and I hope people like it." Hitesh Modak has composed and programmed the number, which has been rapped by Parry G.
The film recently was embroiled in a controversy when Javed Akhtar and Sameer expressed shock over being enlisted under the credit list, despite not having penned any songs for the film. While Ssingh clarified to Firstpost that their named were added to the list because earlier compositions used in PM Narendra Modi, Shabana Azmi said that it was a deliberate move on part of the makers to mislead public. Directed by Omung Kumar, PM Narendra Modi will chart Modi's journey from his youth to becoming the prime minister of India. 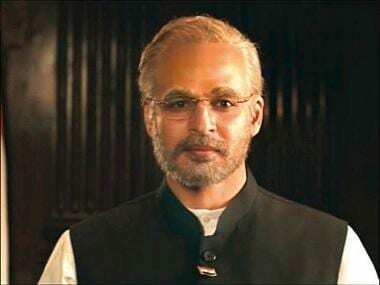 Produced by Suresh Oberoi and Anand Pandit, PM Narendra Modi will hit the theaters on 5 April, six days before Lok Sabha Election 2019, which begins on 11 April.